If you want anonymity, there are much, much bigger churches to get lost in. But if you are looking for the warmth, acceptance and loving care that can only be found in a small church family, you need not look any further. Come join us for worship and fellowship at the Byhalia Friends Church. Our Sunday Morning Worship (with Jr. Church) begins at 10:30 a.m. with our "Good Friends Fellowship Hour" beginning at 9:15 a.m. with Sunday School for all ages. The Friends Church began more that three hundred years ago in England under the leadership of George Fox, a man who experienced a personal relationship with Jesus Christ and spent his life sharing his experience with others. Before long the Friends (also called Quakers) began coming to the New World with other colonists, and soon there were thousands of Friends in America. As other Americans moved west, and so did the Friends, taking along their faith. By 1812 Friends in Ohio had united to form Ohio Yearly Meeting (today, Evangelical Friends Church - Eastern Region, part of Evangelical Friends International - North America) and were instrumental in the Underground Railroad in the years leading up to the Civil War. 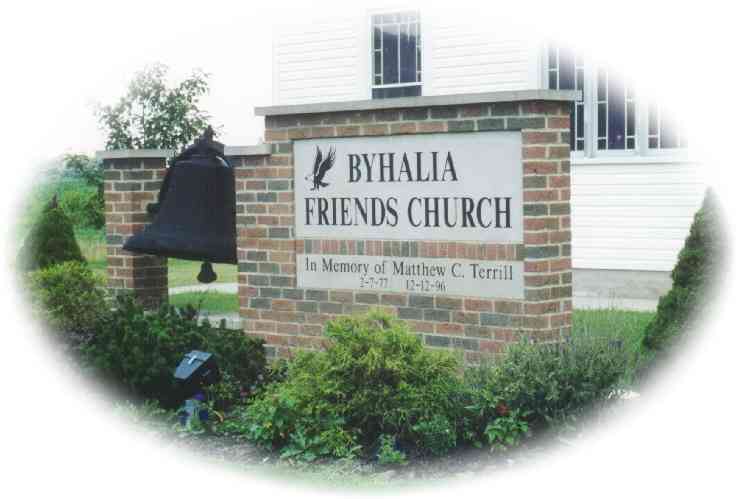 The Byhalia Friends Church has served Byhalia, Washington Township and the surrounding communities for over 120 years. The first official "Meeting House" was dedicated on November 25, 1885. It was struck by lightning on May 8, 1900 and burned to the ground. The Church quickly rebuilt and the new (and existing) building was dedicated on January 27, 1901. The fellowship hall (along with kitchen, restrooms, and classrooms) was added in 1955 and the church itself was remodeled in 1963. 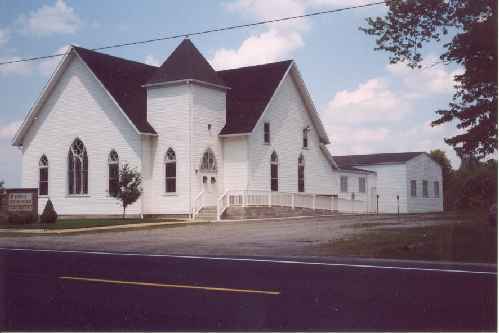 More recently, the church was reroofed, vinyl sided, a wheelchair ramp was built, and the Fellowship Hall was newly repainted - in 2000 and 2001... to celebrate our Sanctuary Centennial Celebration on April 1, 2001.